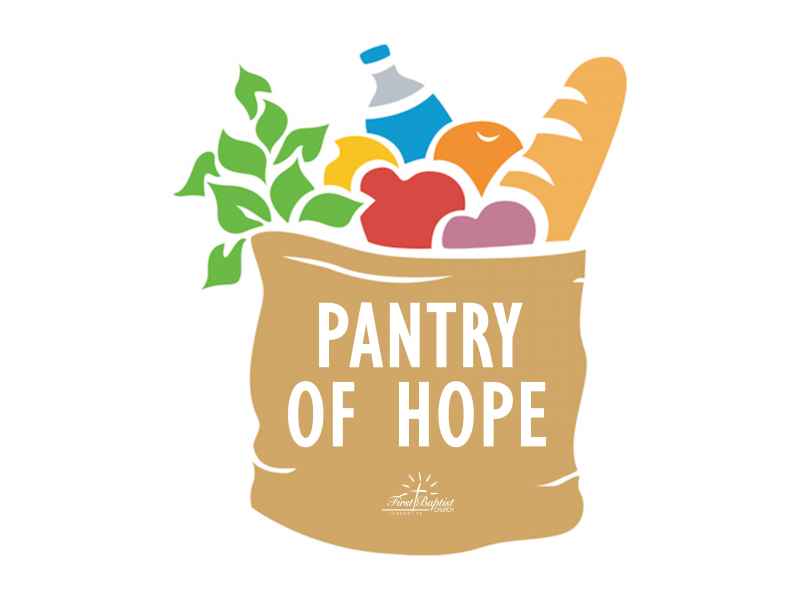 PANTRY OF HOPE IS OPEN EVERY SECOND SATURDAY OF THE MONTH FROM 10 AM TO 1 PM. FREE FOOD, CLOTHING, HOME ITEMS, AND PREGNANCY TESTS. 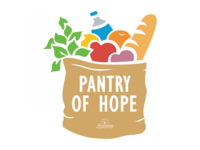 Pantry of Hope (POH) is an emergency food and clothing resource for the community completely funded by donations from members of our community and congregation. POH is not associated or sponsored by any food bank or government program. We began with a small closet in the Fellowship Hall in February of 2017 and quickly grew out of the closet into a larger classroom by April. We have now served approximately 750 people (250 families). POH is open to the public once a month, the second Saturday of every month from 10 am to 1 pm. We have volunteers who assist in registration and distribution. The volunteers share the gospel with them as well as they help them. We are currently blessed to be at max capacity in our current room and are looking forward to expanding to a bigger location soon here in the church. We work closely with CPS and DFPS to help meet the needs of our foster care children and families in emergency situations. We collected food items for Thanksgiving meals and turkeys during the months of October and November. A total for 27 families were provided with a Thanksgiving dinner to make at home for their families. We hosted a Pre-Prom Event on March 25th and gave prom dresses, accessories, hair and makeup to 18 girls graduating high school and leaving the foster care system. We will be hosting another event on November 14th called “Heart Gallery” which is a photo gallery of the children looking for a forever home in the foster system here in Laredo, TX. 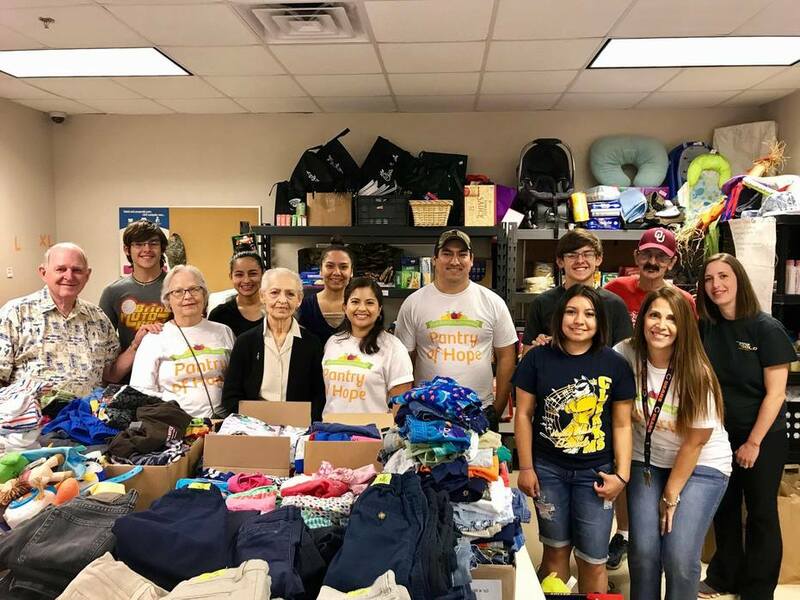 POH also makes Blessing Bags (small Ziploc bags containing personal hygiene items, snacks, and gospel tracts) that we place in the church lobby for members to hand out to people they encounter in the streets of Laredo who are in need. Hope In A Bag is a new sub-ministry of the POH. 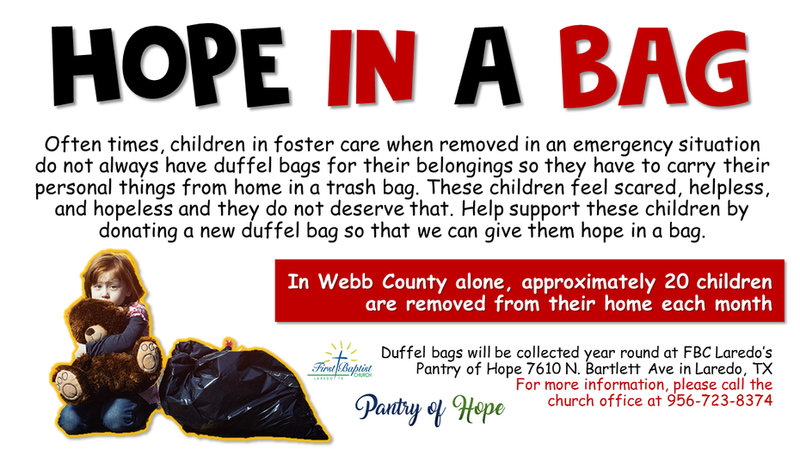 We are currently collecting new duffel bags for children who are being removed from their homes and put into the foster care system. Often times these children have to carry their belongings in trash bags from home to home. Giving them a duffel bag with personal items like clothing, toys, personal hygiene items, or activity books to help ease the transition and give them hope in those uncertain times. We collected school supplies and backpacks during the months of July and August for children in the foster and in the community. A total of 60 backpacks filled with school supplies were distributed from August 12-16. POH also responds to needs from the CarePortal program which links community needs from case workers to local churches and organizations. We have met the needs of over 60 requests. We give all the honor and glory to our Lord and Savior Jesus Christ for allowing us to have this ministry and to serve and share the gospel with the community of Laredo. We also thank the congregation of FBC for their continued support and prayers. We hope to keep growing and helping more people in the future. We would also like to invite anyone who hasn’t yet, to volunteer during these events and POH hours of operation.